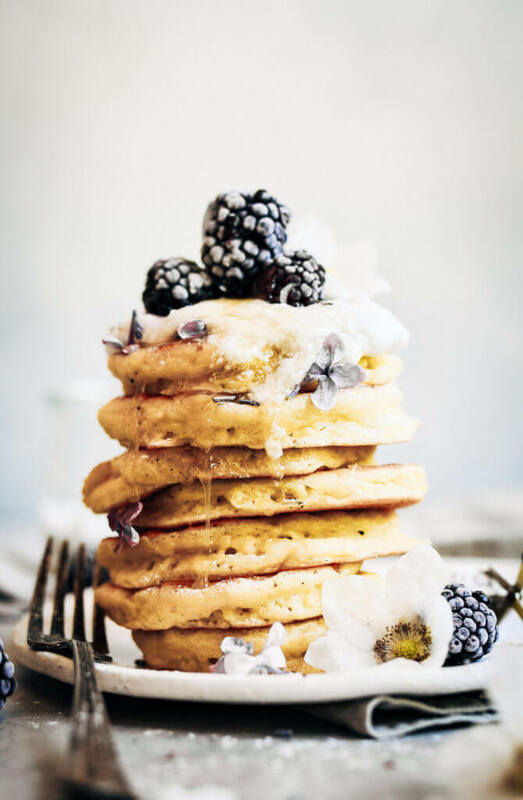 Easy healthy pancake recipe the whole family will love! 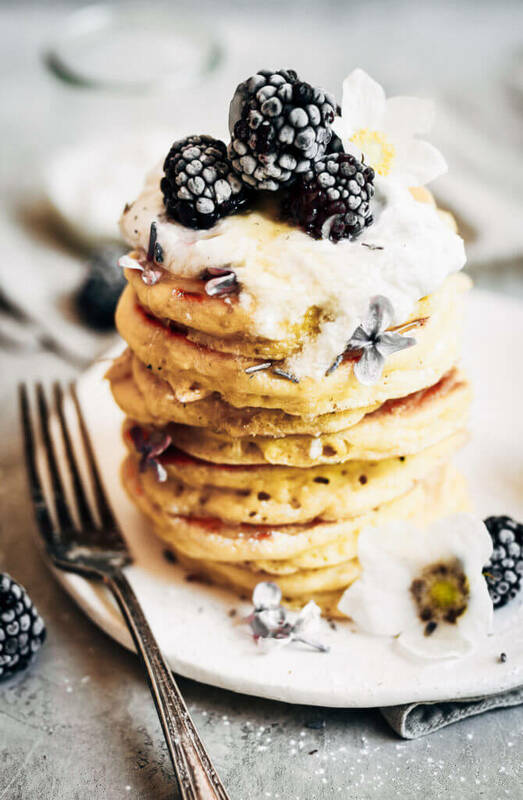 Paleo pancakes that can be made ahead and stored in the freezer for quick and easy paleo breakfasts on the go. 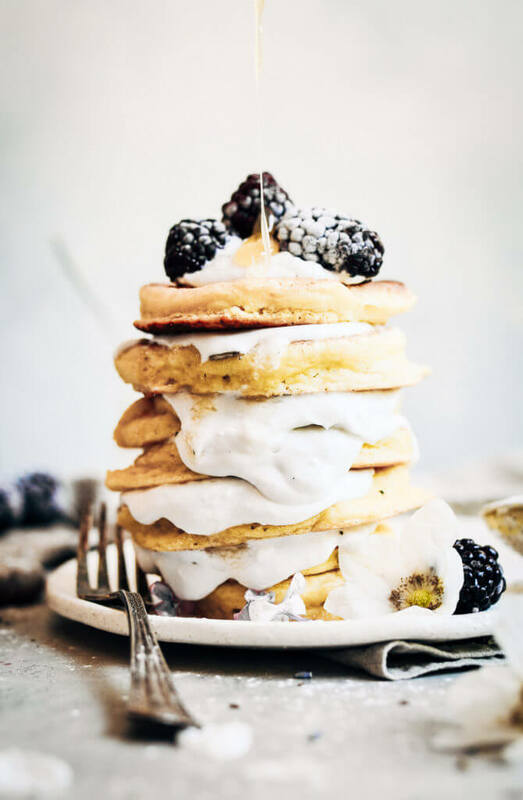 Recipe for light and fluffy homestyle grain free pancakes. 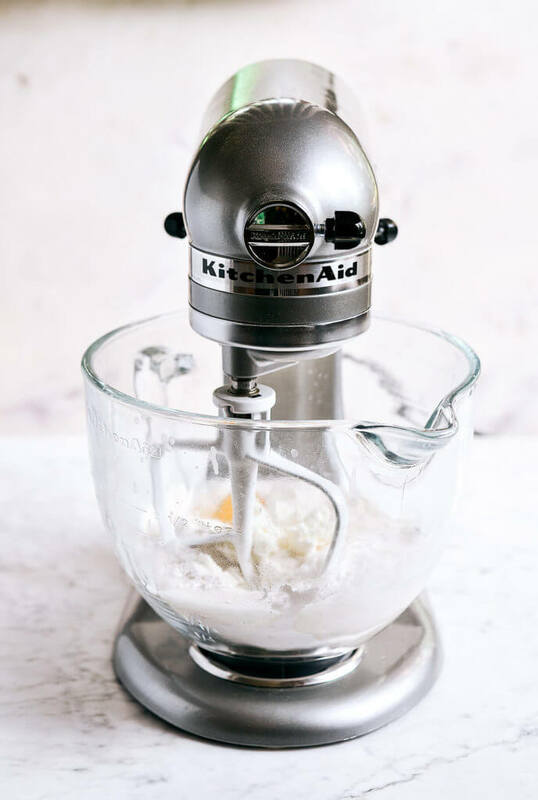 TODAY'S POST IS BROUGHT TO YOU IN PARTNERSHIP WITH KITCHENAID! Okay, so I haven’t tried every. single. pancake. in the world. But I have tried like, a gazillion paleo pancake recipes! It’s the one I make every time. These are the ones I could eat all day. I am happy to report that this recipe… is none of the above! 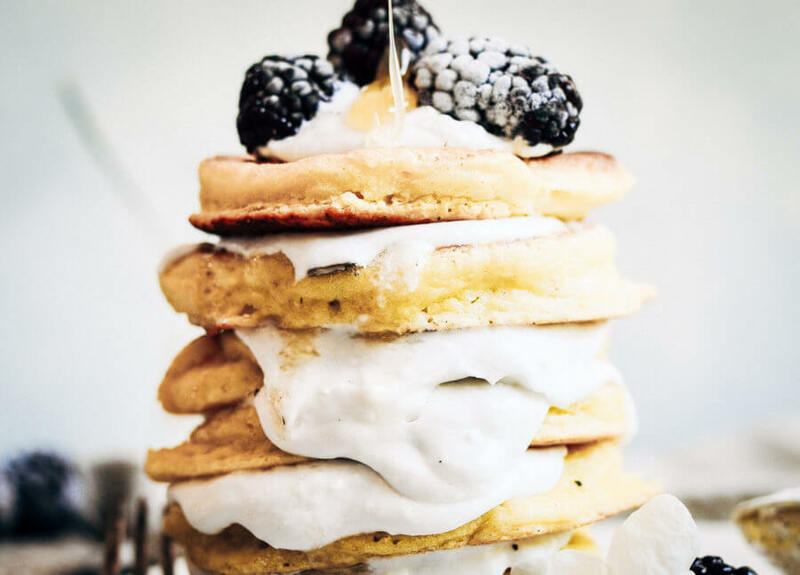 These thick fluffy pancakes are grain free and the best part is, you would never know it. I have made nearly four batches of these pancakes- in the last week. And thanks to KitchenAid’s classy Artisan® Series 5 Quart Tilt-Head Stand Mixer, everything was ready for cooking in just a minute! This recipe is best when made in advance, so the gelatin has time to set up, see: EXTRA FLUFFINESS! Leaving a bowl of batter in the fridge was easily done in this beautiful 5-Qt. Tilt-Head Glass Bowl with Measurement Markings & Lid. I use myArtisan® Series 5 Quart Tilt-Head Stand Mixer for nearly every kitchen project that requires mixing, no joke. This machine doesn’t get much of a break around our house. Whoops! Hope it doesn’t hate me for it. Maybe it just gets a high outta all the love and attention, I dunno. 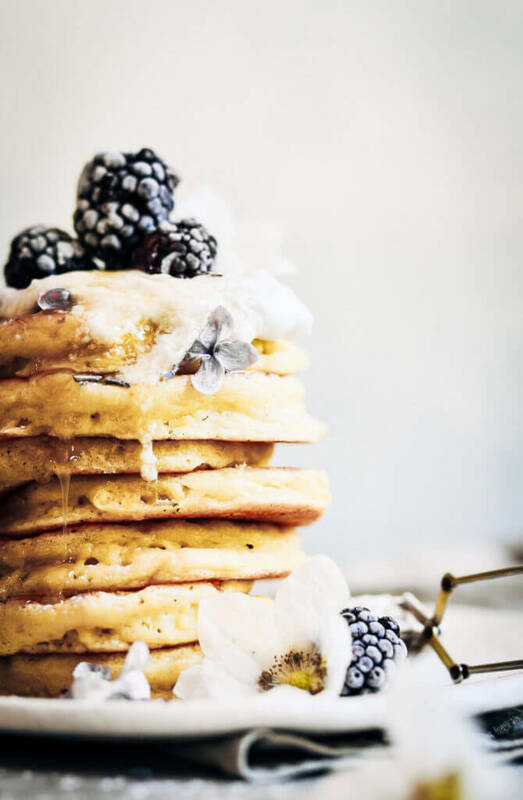 Growing up, grandma’s house = a big stack of the fluffiest and thickest pancakes for breakfast. Waking up to feast-type breakfasts at grandma’s house was always a treat. The way those white hotcakes blew up nice and thick were like candy to this kid, who’s mom served buckwheat and rice waffles at home. The reason these are overnight cakes is because I make up the batter the night before. Okay, we all saw that coming, am I right?? First, I add, stir, and then let it sit in the fridge and get the batter all gelled up for baking the next morning. Basically, the gelatin sets and the batter gets nice and thick for cooking, so you get that fluff-factor. Why do I want it thick for cooking? Because gelatin makes for a thick- yet light batter, so when you drop a scoop onto the pan good things happen. Nice and tall, light, and fluffy pancakes spring to life and the world turns into a fairy land. I do love to put my fork through a nice thick fluffy pancake- just like at grandmas! Anyway, that’s my reasoning; it’s all about that thickness and fluffiness! Side note: You can totally cook them right away without letting them soak overnight, but they will turn out flatter. 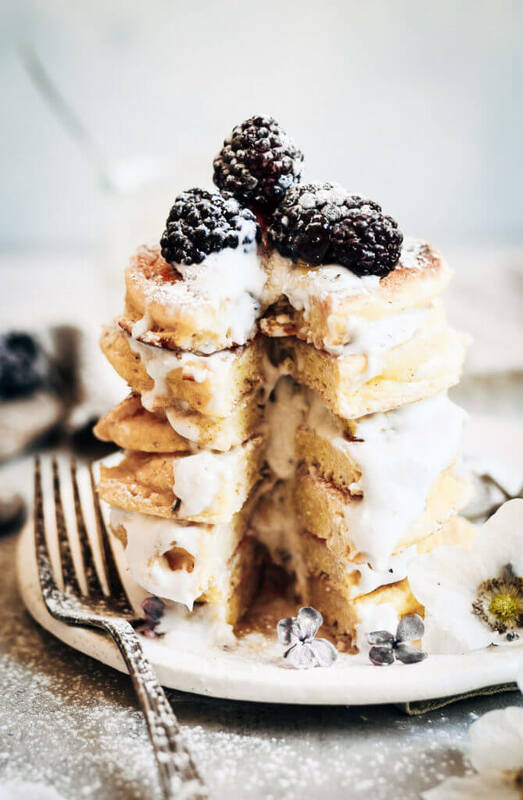 Sandwiched with plenty of coconut whipped cream and frosty blackberries, this breakfast was top on my to-do list today! Combine ingredients for the pancakes in a stand mixer until smooth. Cover the bowl and set in the fridge overnight- you can cook them right away, but chilling the batter overnight sets the batter up to make extra thick + fluffy pancakes. Grease a frying pan with coconut oil. Heat the pan over low heat on the stove. You can also use an electric griddle. Once the batter has set up, scoop 1/4 cup batter onto a hot fry pan and cook on really low heat until cooked through (it takes about 2 minutes of cooking on each side. You want to cook it on really low heat, so the middle gets cooked and you aren't left with raw batter in the center). Again, another awesome recipe! My hubby says they’re the best paleo pancakes he’s tried in 3 years! Can the cassava flour be replaced for tapioca? I don’t think that would work, but I haven’t tried it… Cassava and tapioca are from the same plant, but they are processed differently so they react totally different when baking. Do you have to “bloom” the gelatin first? I need an egg substitute. Recommendations? Hi Lynn, I don’t think subbing eggs in this recipe would turn out very well… they add a lot of volume. Hi! If you say cassava flour you mean cassava starch??? Because there is also “Gari” – its coarse but I think it’s kinda different! Best regards from Vienna/Austria! I see – i bought the wrong cassava flour! “Gari” ist a kind of cassava flour but it is differently processed and coarse! On the left there is cassava flour , in the middle “Gari” and on the right tapioka starch! Is there a flour you could recommend to sub for the cassava? Hi Faith, you might be able to try a gluten free flour blend. I haven’t tried anything else. I would opt for a combo of flours if you aren’t planning on using cassava. I came across your website looking for a a good fluffy pancake. All the others I have tried were not very tasty. I will have to get the Cassava flour (never heard of it until today). Looking forward to making this! I look forward in trying some of your other recipes. Nice to see you are from Seattle, my home growing up. Is the nutrition information per pancake? Just making sure. Thanks! I love, love, love your blog. I have been cooking from it for a year! Yes- it’s per pancake. And thank you! Hi Kaylie, These sound amazing, however, I am allergic to almonds! What flour do you recommend as a good substitute for the almond flour? Hi Tami, you can use hazelnut flour in place of almond flour. Enjoy! Hey! You have an amazing blog on your hands! Your recipes are delicous! I really want to make these pancakes but there’s nut allergies in the family… Could I use banana flour as substitute for almond flour?? And if not what could I use that doesn’t contain nuts? These are great! What a good idea to add gelatin. This recipe works well for waffles as well. Just wondering if I don’t have liquid stevia how much granulated stevia I would use or maple syrup or honey?